It’s not often that I make dips, but when I was recently asked to bring a dip to a Super Bowl party, I knew I had to make something special. After all, dip at a Super Bowl party is right up there with turkey on Thanksgiving. It’s important and it better be good. 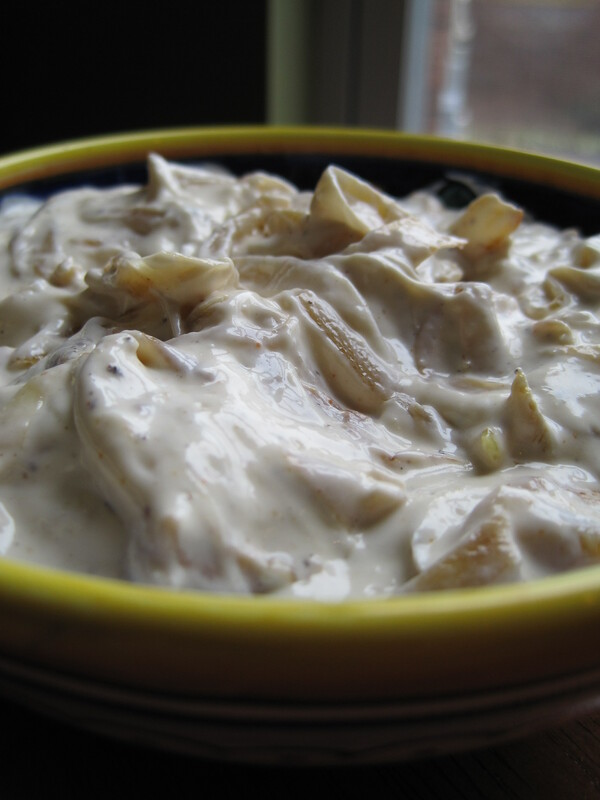 Fortunately this recipe for caramelized onion dip is delicious. Unfortunately, I think I’m going to have to make another batch before the game tomorrow. It started out innocently enough. Just a few carrot sticks to make sure that the dip was company-worthy. Quickly gobbled up, I pulled out the very old and very stale bag of chips from my pantry. The chips were terrible, but it didn’t matter. They were just the vehicle to get the dip to my mouth. Using that same logic, I dug out a spoon. And then I realized that not only had I eaten most of the dip, but that I was also about to start eating dip straight from a spoon. I harnessed what little dignity I had left, packaged up the dip, and stuck it in the very back of my refrigerator. So far I’ve managed to resist temptation, but I’m not sure I’m going to last much longer. It is the caramelized onions in this dip that really make it shine so don’t rush them. Caramelizing onions is tricky. 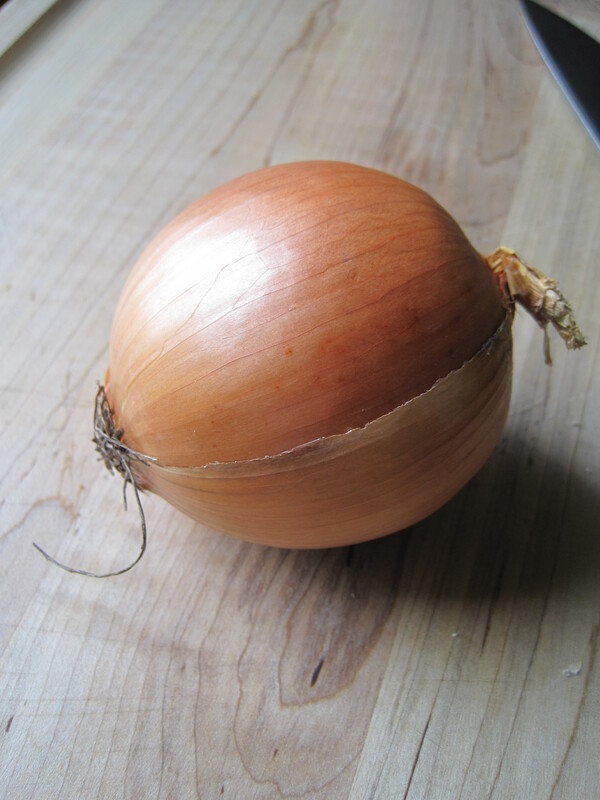 Too high of heat can cause the onions to dry out, while too low of heat can result in soggy onions that never caramelize because the juice from the onions can’t evaporate fast enough. For best results, take your time and cook the onions in a large 12-inch skillet. Make sure your oil is hot before adding the onions and then let the onions cook for a few minutes over medium heat before reducing the heat to medium low. I find that it usually takes me upwards of thirty minutes to properly caramelize onions so don’t get impatient. 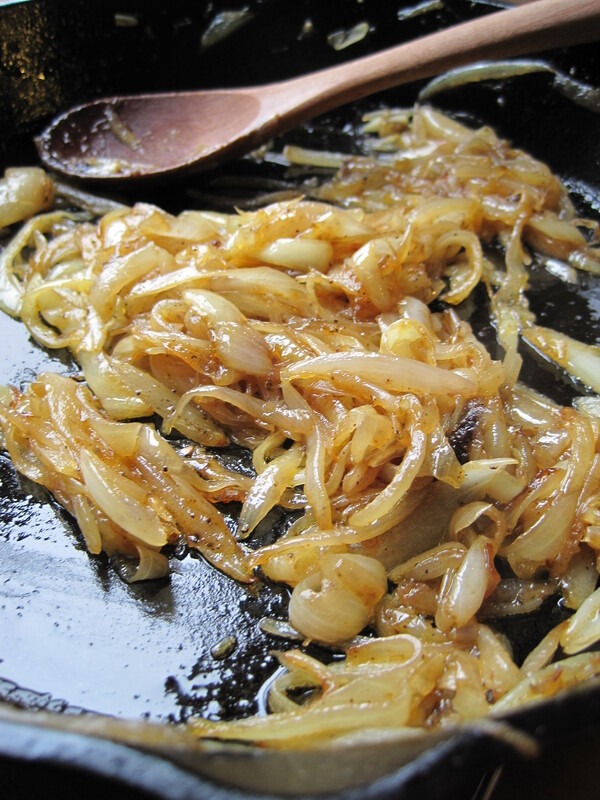 Properly caramelized onions are worth all the time it takes to make them! This dip will be the star at any Super Bowl party. Just remember to buy enough for two batches! It’s hard to share. In a large skillet, heat the butter and the olive oil over medium heat. Add the onions, shallot, salt, cayenne, and black pepper and stir to combine. Reduce the heat to medium-low and cook for about 30 minutes, stirring occasionally. 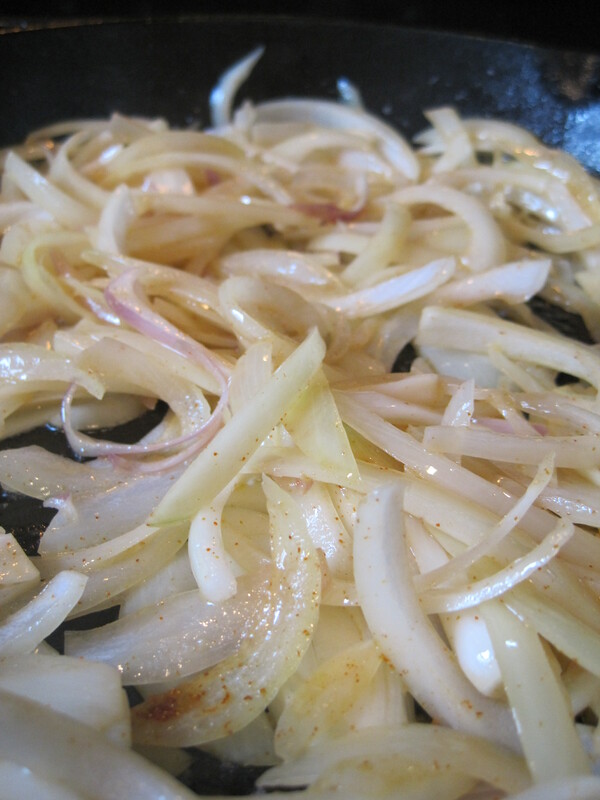 The onions are done when they are golden brown and very soft. Once cooked, allow the onions to cool. Beat the cream cheese, mayonnaise, sour cream, and garlic powder with an electric mixer until smooth. Stir in the cooled caramelized onions and shallots with a spoon. Season with some more salt and pepper if needed. Serve with potato chips and fresh veggies. It was delicious!!! I don’t blame the “spoon to mouth” attempt!